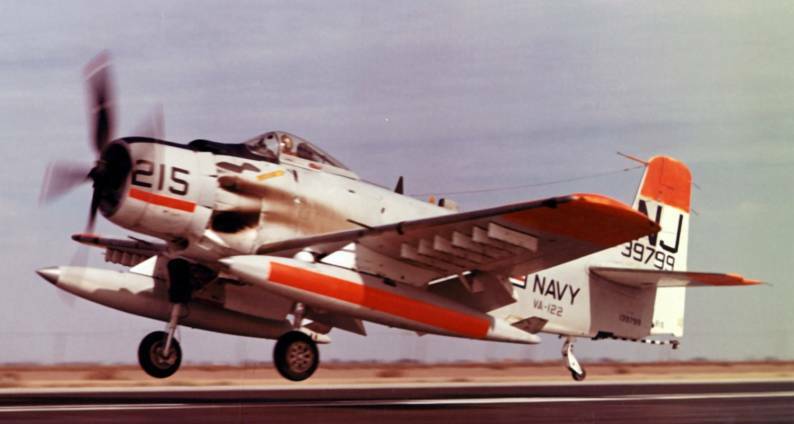 May 1950: The squadron was established with a mission of all-weather attack and anti-submarine warfare (ASW). 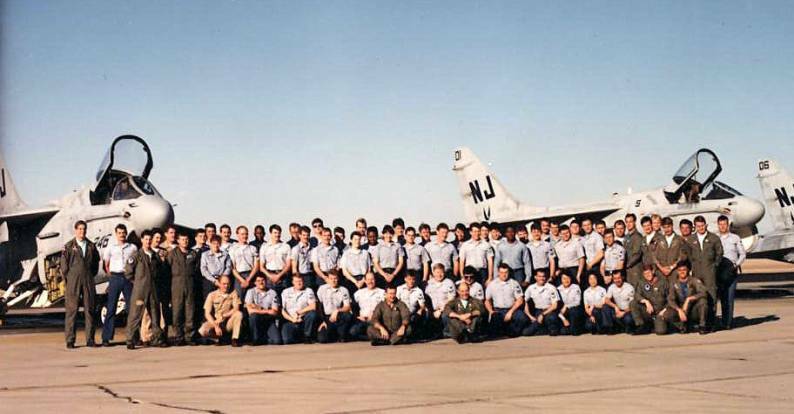 The squadron trained detachments for carrier deployments and also participated in various exercises held on the West Coast. 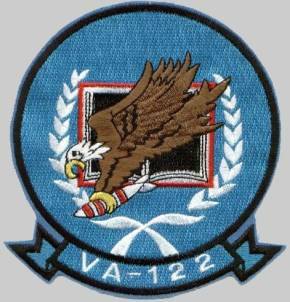 9 Nov 1950–9 Jun 1951: VC-35 Det 3 was the squadron’s first detachment to deploy. 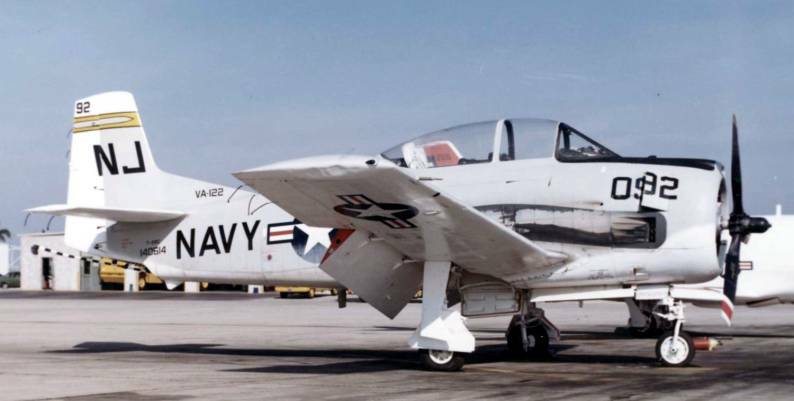 It deployed to Korea and flew ASW patrols, night heckler missions, and other combat sorties. These became the standard missions for the squadron detachments that deployed to Korea. 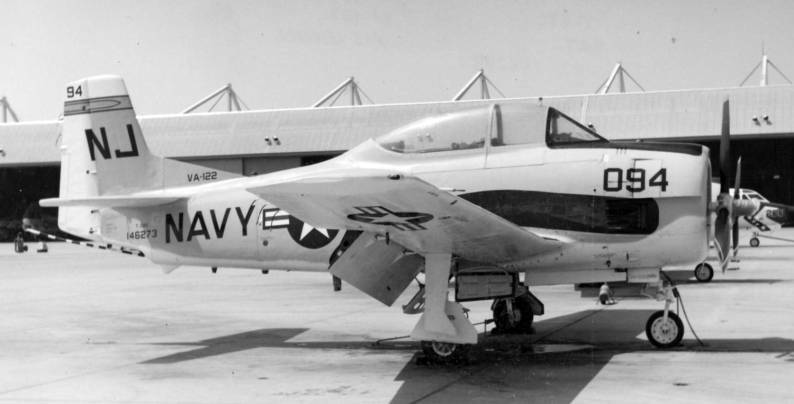 29 Jun 1959: The squadron’s mission was changed from all-weather attack to fleet replacement training. 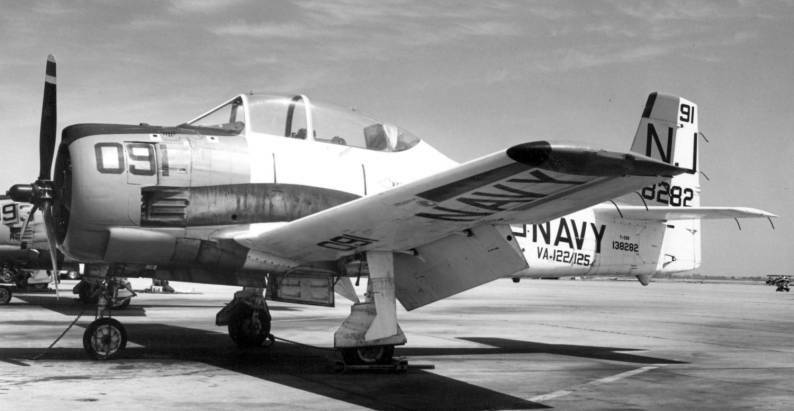 It was responsible for instrument flight training for fleet prop pilots, including ground school; enlisted ground training for Skyraider maintenance personnel; and the training of fleet replacement pilots for the AD-6/7 Skyraider. 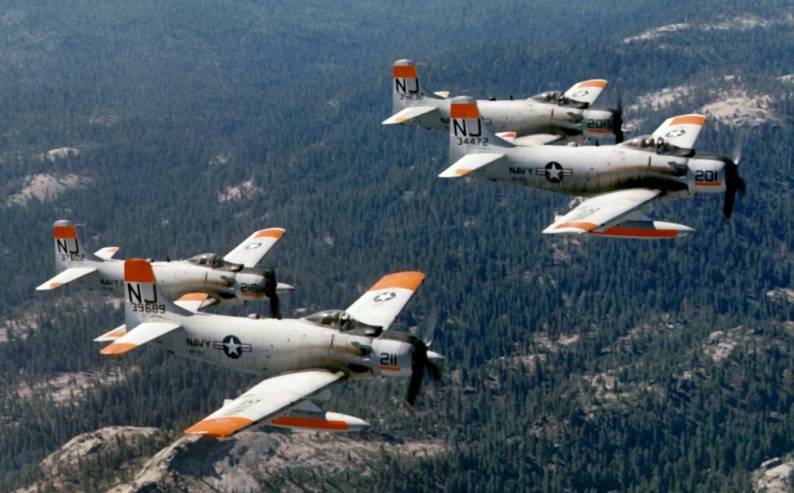 Jun–Aug 1960: The squadron trained eight officers from the South Vietnamese Air Force in the operation of the AD Skyraider. 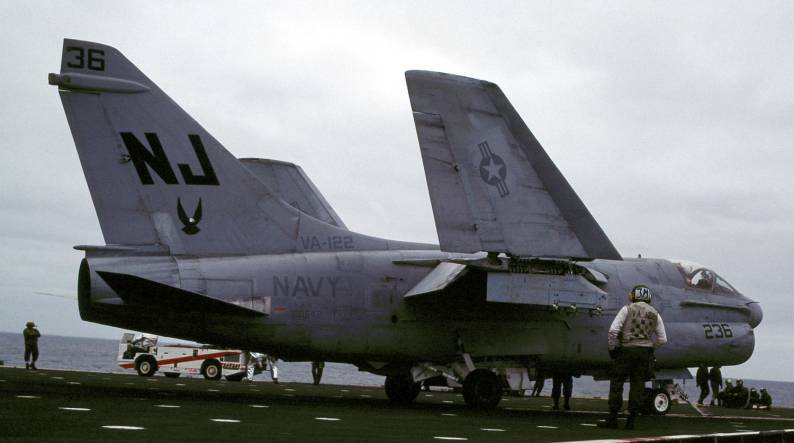 Nov 1966: With the acceptance of the A-7A Corsair II, the squadron took on the additional mission of fleet replacement training in this new aircraft. 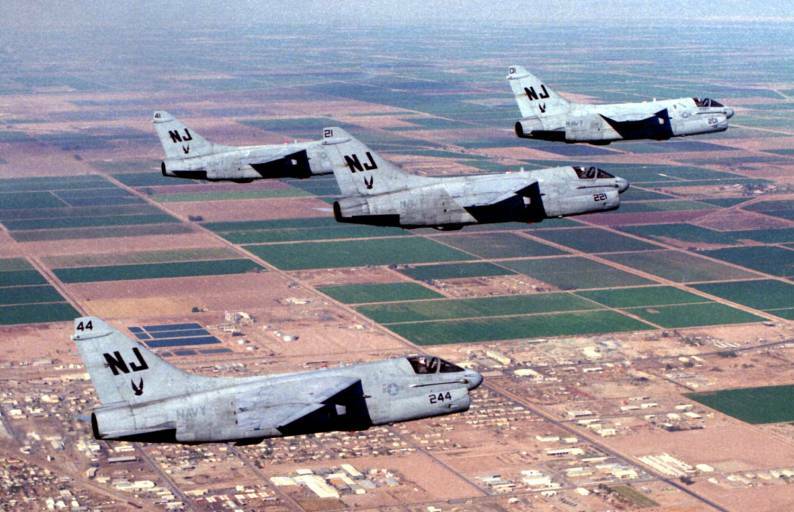 1967: VA-147 was the first squadron to be trained in the A-7 by VA-122. 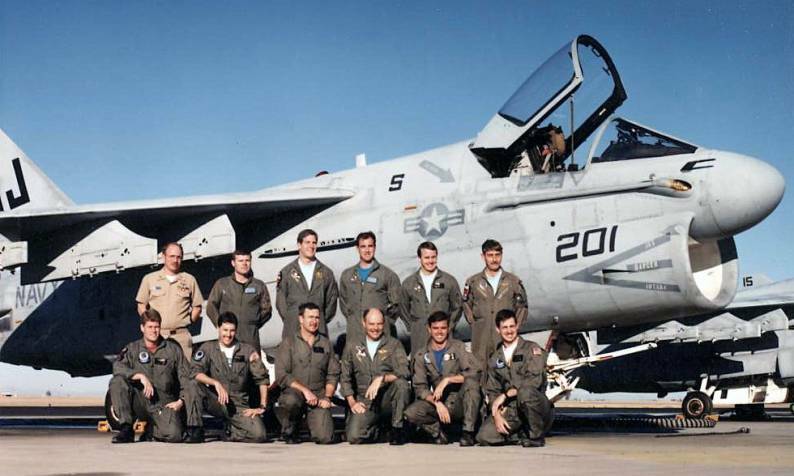 Dec 1969: The squadron joined with VA-125 to inaugurate a graduate level Light Attack Weapons School which involved three intensive weeks of classroom and flight syllabus training covering all phases of attack aviation. 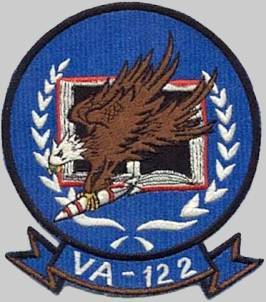 15 Oct 1973: VA-122’s Weapons Training Center, which conducted the Light Attack Weapons School, became a separate command and was designated Light Attack Weapons School, Pacific. 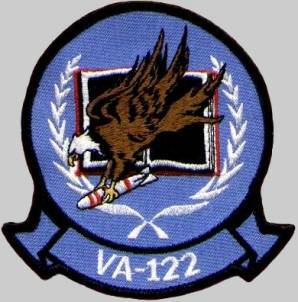 30 Jun 1988: With the disestablishment of VA-174, the east coast Fleet Readiness Squadron for the A-7, VA-122 assumed the responsibility for A-7 training on both coasts. 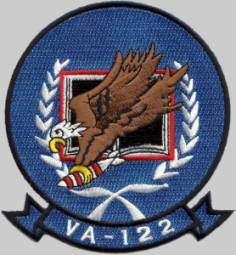 May 1991: Prior to VA-122’s disestablishment, it had trained and graduated over 5,000 light attack pilots and over 55,000 highly skilled maintenance personnel during its career as a fleet replacement training squadron.